A New York City prewar with ‘good bones’ was hiding under fanciful southern french provencal decor. Our mandate was to expose those ‘good bones’ and design a comfortable family apartment incorporating a superb art collection and family heirlooms. All the surfaces had to be treated and re finished in plaster to expose the apartment plan. Original steel casement windows and doors dating from the early 20th century were restored and weatherstripped. These moves exposed a clean ‘canvas’ on which to design a traditional apartment made for easy comfort. Eclectic period furnishings spanning various times and origins bring the interiors to life and sets a tone lasting the test of time and beating the conventions of style. 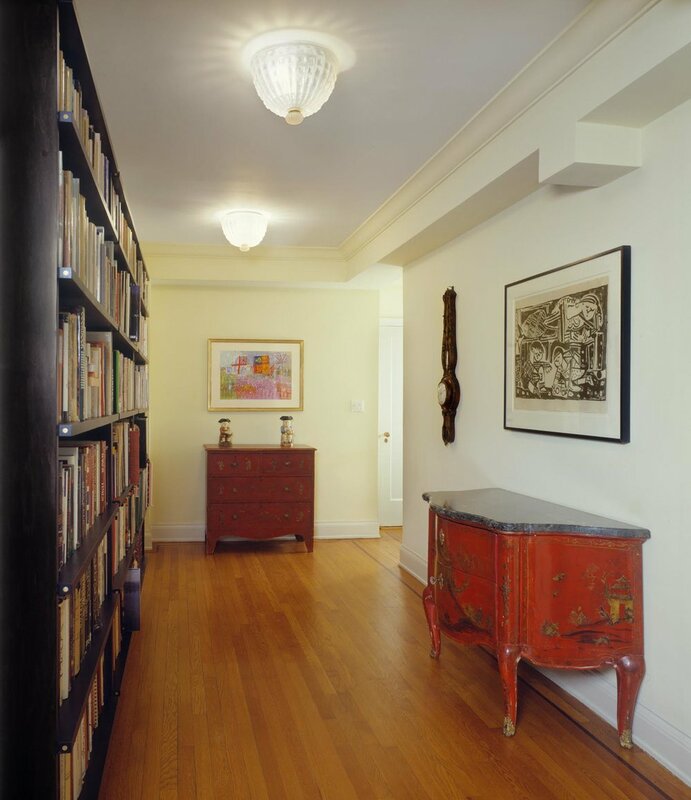 The entrance gallery is given modern glamour with black maple bookcases with brass details. 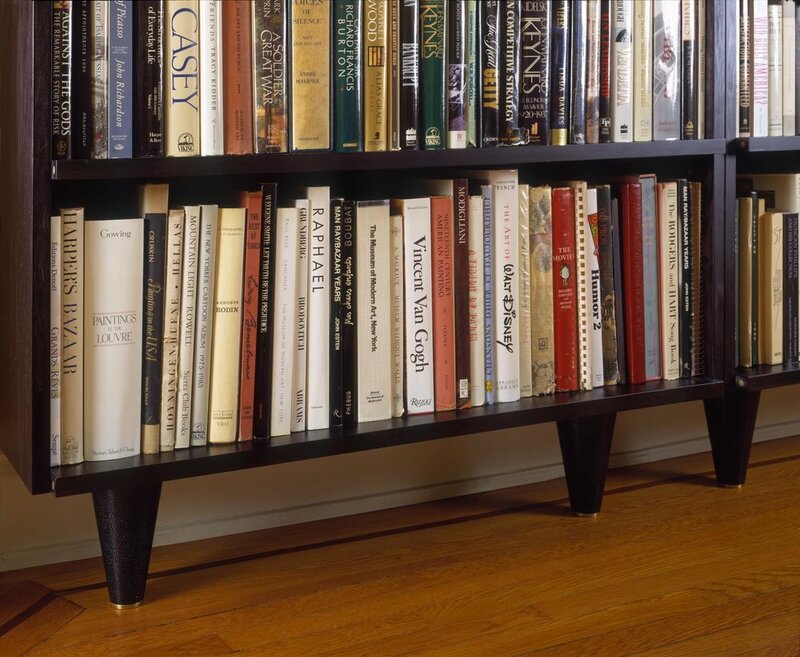 The bookcases teeter on single alligator leather lined feet and the entry gallery is lit by opal glass Murano lights.